LeeJiHam, or LJH as more people know of it, has introduced a new facial cleanser as part of their skin care line. Since I’m a huge, huge fan of their Tea Tree 90 Essence (seriously, it’s fabulous for calming down angry skin, and is nicely hydrating even when your skin is behaving), I thought I’d take advantage of the introductory sale and purchase it through Avecko’s buying service. You can’t get this product in America quite yet – although I’m sure you’ll be able to soon, since LJH has a US website. I’m not quite sure how to restructure that into colloquial English, but it looks like they’re claiming that it removes makeup and makeup residue, removes dead skin cells and any dirt, and then moisturizes the skin. One pump of the product is actually pretty generous, so I usually only use two. It’s a clear, watery gel that smells faintly herbal. This product does not foam at all for me – and trying to use it with my konjac sponge was a pure disaster. (The sponge just sucked everything up.) If you are the kind of person that likes using a konjac sponge for mild physical exfoliation, my suggestion is to apply the cleanser, rub it around a little, and then use the sponge while you wash the cleanser off with warm water. In terms of removing makeup, this does a good job. Remember my last post about the oil tints? 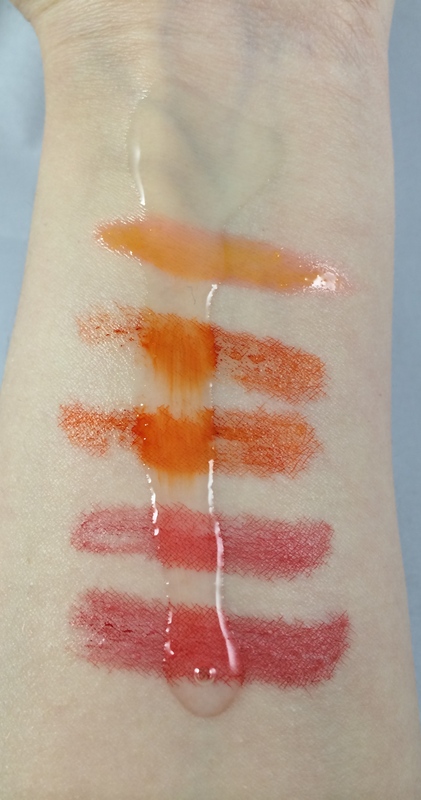 Here’s what happened when I used this cleanser on my arm swatches. The cleanser is pretty watery, so I just used one pump on my wrist and tilted my arm up, letting the product run down my arm. Not too shabby, considering I used no water and didn’t massage the cleanser in at all. I just let it sit there long enough to take a quick photo. Another pump of the cleanser and some actual water, and everything was gone. The down side is that this product isn’t fantastic when it comes to that really stubborn makeup, like Clio’s Kill Black eyeliner or the Kiss Me Heroine Make mascara, so you may have to use a point makeup remover if you’re wearing things that are hard to budge. purified water, dipropylene glycol, PEG-20 glyceryl isostearate, PEG-20 glyceryl triisostearate, butylene glycol, denatured alcohol, methyl gluceth-20, PEG-32, honey extract, Indian frankincense resin extract, bromelain, rice extract, papaya fruit extract, green tea extract, peony flower extract, lily extract, magnolia flower extract, lily of the valley extract, linden flower extract, rosemary extract, chamomile extract, aloe vera leaf extract, portulaca oleracea extract, witch hazel extract, sodium citrate, caprylhydroxamic acid, 1,2 hexanediol, caprylyl glycol, glycol distearate, disodium EDTA, fragrance. This product tested at a pH of 6 with no water added. That’s a little higher than optimal, but not the worst you could get. I did expect a little better from LJH though. The denatured alcohol gets the highest possible score in the ‘potential irritant’ category on COSDNA, so be careful of that if you’ve got sensitive skin. 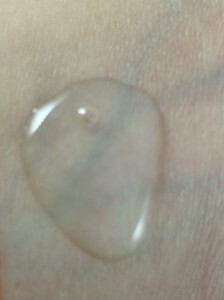 The texture of the cleanser it self is both watery and oily, which makes sense since it’s a dual cleansing essence. Since it doesn’t remove my stubborn makeup, I worry about it being able to get all of my chemical sunscreen off my skin, so I probably won’t use it as a first step in a double-cleansing routine. If I am not paying attention and only use one pump on dry skin, it feels like it just sinks right into the skin – almost like an essence or emulsion, rather than a cleanser – so make sure you use enough to actually be able to massage the product on your face, because letting it absorb didn’t seem like it did my skin any favors, and it didn’t seem to do any cleaning. Unfortunately for me, this cleanser leaves me with a tight feeling on the areas of my face where I’ve recently had dry skin, so I am unlikely to continue using it either as a first step or as a makeshift second step. 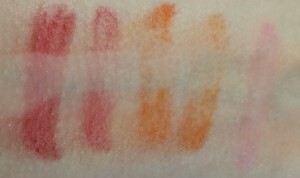 This entry was posted in ljh, review, skincare by BeautyVersusZombies. Bookmark the permalink.